Purchase tickets to The Prom online, at the theatre box office, or by calling 212-239-6200. 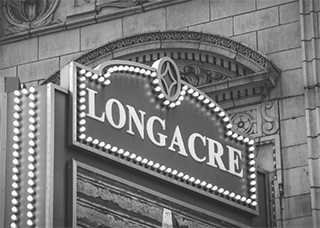 The Longacre, named for Longacre Square (now Times Square), was built by producer/manager H.H. Frazee (also known as the owner of the Boston Red Sox, who sold Babe Ruth to the Yankees). After Frazee fell into financial difficulties, the theatre changed hands many times before being sold to Astor Theatre Incorporated, a Shubert subsidiary, in 1919. WOR leased it from 1943 to 1953 as a radio and television playhouse. 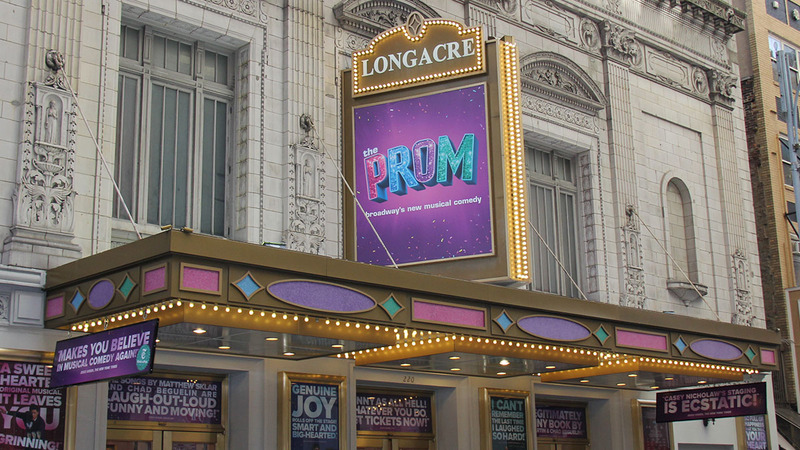 The Prom is currently playing at the Longacre Theatre. The Longacre Theatre has 1,077 seats and is one of the Shubert Organization‘s 17 Broadway theatres. 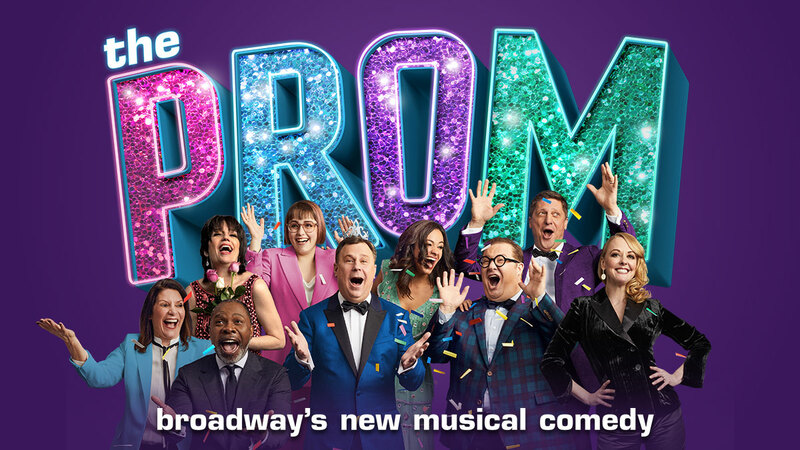 The Prom is recommended for ages 10 and older. Children under the age of 4 will not be permitted in the theatre. Wheelchair-accessible by an elevator. Additional restrooms are located down one flight of steps (20 steps). There is one (unisex) wheelchair accessible restroom located on the Orchestra level. Mezzanine location: Located up two flights of stairs from the Orchestra level. Balcony location: Located up four flights of stairs from the Orchestra level. The Longacre Theatre provides at least 10 infrared assisted-listening devices for every performance at the theatre. Beginning four weeks after a show’s official opening-night performance, at least 10 audio description devices are available for every performance at the theatre. In addition, there is unlimited access to downloadable audio description software for personal mobile devices, available beginning four weeks after a show’s official opening night performance, which provides an automated detailed account of the visual of the production, free of charge, for blind or partially sighted patrons. The theatre also offers handheld devices and software that provide captioning for deaf or hard-of-hearing patrons, available beginning four weeks after a show’s official opening-night performance. Additional devices can be available with at least 24 hours’ notice by contacting Shubert Audience Services at 212-944-3700 or [email protected]. There is also a representative at the Shubert Audience Services kiosk at every performance to assist any patron with the audio description devices, software, or captioning devices. Built in 1913, the Longacre has been owned by the Shubert Organization since 1919. Recent productions: Allegiance; Living on Love; James Earl Jones in You Can’t Take It With You; Of Mice and Men with James Franco and Chris O’Dowd; First Date; The Performers; Mike Tyson: Undisputed Truth; Magic/Bird; David Henry Hwang’s Chinglish; a revival of La Cage aux Folles; Burn the Floor; Boeing-Boeing; Talk Radio; Well; Who’s Afraid of Virginia Woolf? ; Prymate; Oldest Living Confederate Widow Tells All; Russell Simmons’s Def Poetry Jam; One Mo’ Time; A Thousand Clowns; Judgment at Nuremberg; and Taller Than a Dwarf. The 1990s saw Voices in the Dark; The Gershwins’ Fascinating Rhythm; Golden Child; The Young Man From Atlanta; Medea starring Diana Rigg (Tony Award); Any Given Day; Tango Passion; and Truly Blessed, a musical celebration of Mahalia Jackson. In the ’80s: Hizzoner! ; Don’t Get God Started; The Musical Comedy Murders of 1940; Precious Sons with Ed Harris and Judith Ivey; Peter Nichols’s Joe Egg with Jim Dale and Stockard Channing (Tony Award), and Passion with Frank Langella; Lanford Wilson’s Angels Fall; and this theatre’s longest-running play, Children of a Lesser God. Hits of the 1970s included Terrence McNally’s The Ritz with Rita Moreno (Tony Award) and Jack Weston; Julie Harris winning a Tony for The Belle of Amherst; John Gielgud and Ralph Richardson in Harold Pinter’s No Man’s Land; and a Tony-winning turn from Al Pacino in The Basic Training of Pavlo Hummel. Ain’t Misbehavin’ opened on May 9, 1978. This revue of Fats Waller songs starred Ken Page, Nell Carter, Charlaine Woodard, and André De Shields. In the 1960s, this theatre housed such productions as Zero Mostel’s Tony Award–winning performance in Ionesco’s Rhinoceros; A Case of Libel starring Van Heflin; Lorraine Hansberry’s The Sign in Sidney Brustein’s Window (revived at this same theatre in 1972); Margaret Leighton, Zoe Caldwell, and Kate Reid for seven performances in Tennessee Williams’s Slapstick Tragedy; Hal Holbrook in Mark Twain Tonight and Robert Anderson’s I Never Sang for My Father, which also featured Teresa Wright and Lillian Gish; and Julie Harris in Little Moon of Alban. The theatre’s best plays in the 1950s were Julie Harris in Lillian Hellman’s adaptation of Anouilh’s The Lark; The Pleasure of His Company; and a comedy called Fair Game featuring an actress named Ellen McRae, who later changed her name to Ellen Burstyn. From 1944 until 1953, this theatre was a radio and television playhouse. It returned to legitimacy with The Ladies of the Corridor, a play by Dorothy Parker and Arnaud d’Usseau. Julie Harris then appeared here in Anouilh’s Mademoiselle Colombe. Some highlights of the past: three plays by Clifford Odets — Waiting for Lefty, Till the Day I Die, and Paradise Lost; Miriam Hopkins in Little Jessie James and An American Tragedy, adapted from Theodore Dreiser’s novel; and George S. Kaufman’s hit 1925 comedy The Butter and Egg Man.